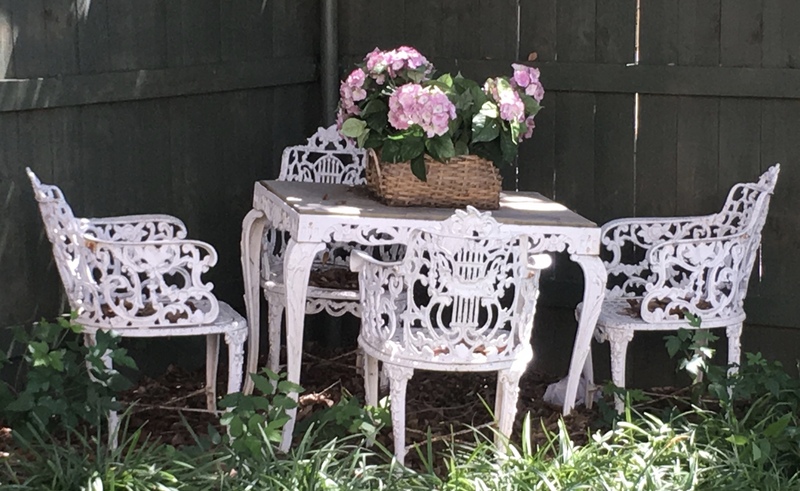 Heavy cast iron white painted Victorian garden set including four armchairs and a slate topped table, all with scroll decoration and rose crests, along with cabriole legs. Each chair is reinforced with cross strethers. Could be from late 19th Century. Not sure if from Great Britain or US. Very few of these are Victorian in origin and have been widely reproduced since the 1920's, the largest period during the 1980's.Check for foundry markings and get back to us.